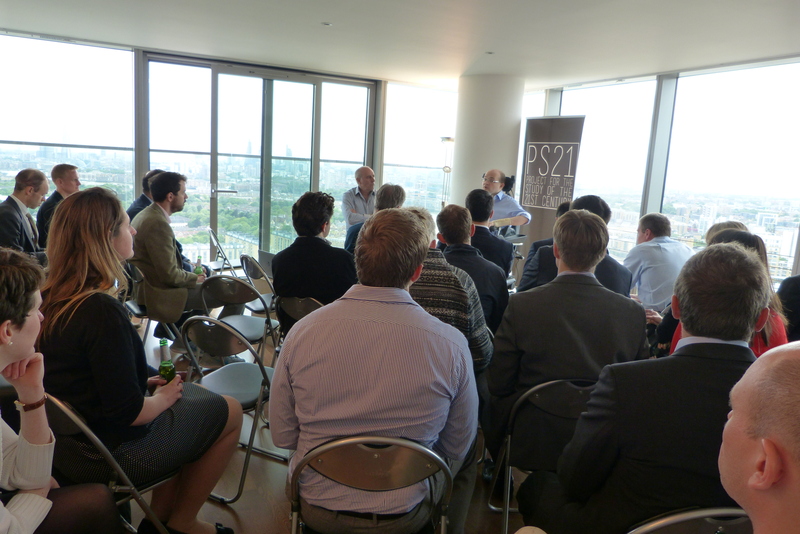 On Monday, June 1, 2015 the Project for Study of the 21st Century (PS21) held a discussion on “Defence of the Realm” with former UK Director Special Forces and Commander Field Army Lt Gen Sir Graeme Lamb. 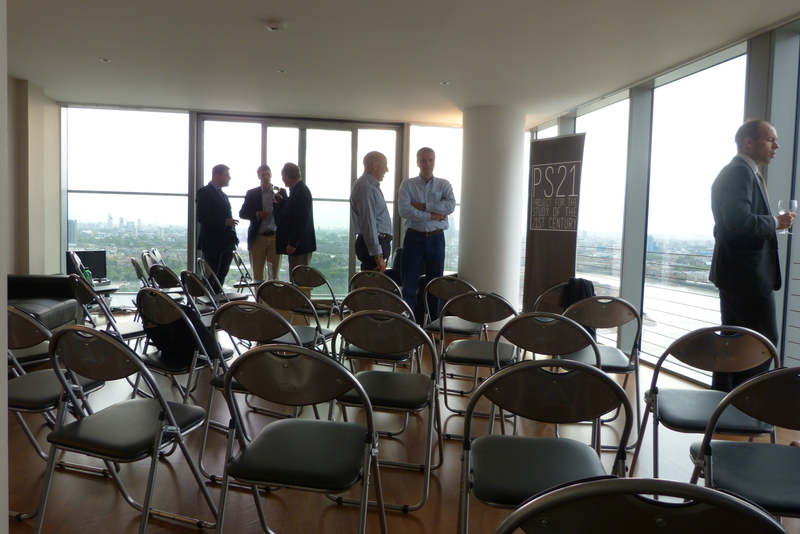 The discussion took place in Canary Wharf, east London and was moderated by PS21 executive director Peter Apps. 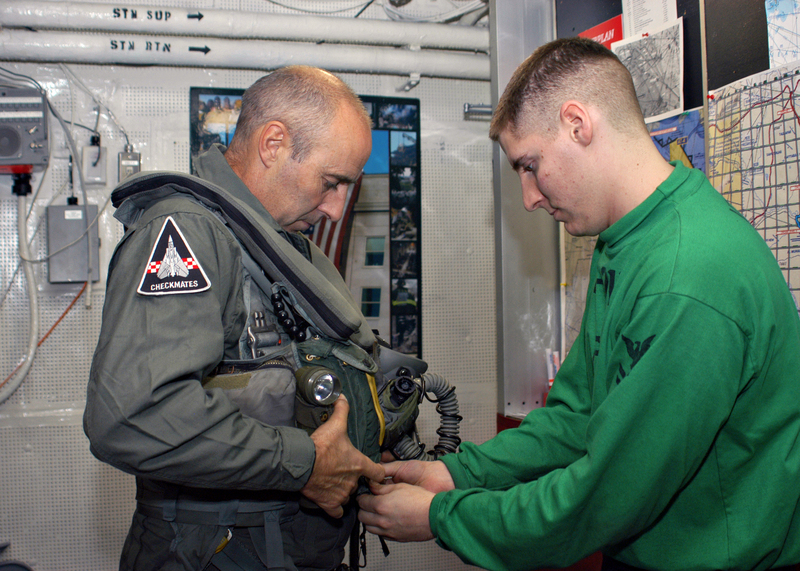 Traditional military capability is no longer enough. Potential adversaries – both non-state groups like Islamic State and rival powers such as Russia, China and Iran – are innovating fast in this space. New conflicts are increasingly as much battles of propaganda and narrative as industrial clashes of arms. Recent wars, attacks bring alarming lessons and go well beyond traditional military focus/skill set. UK defence spending has declined considerably as a relative proportion of government expenditure since the 1980s relative to health, welfare and other areas. Strategic Defence And Security Review brings tough decisions. To be relevant in the 21st century, the military must become much better at liaising with those outside of it. Government in general must broaden its expertise. Retaining public support for military expenditure, activity and occasional intervention will require a major public discussion. The same is true in some other areas – particularly the use of meta data and surveillance techniques to track dangerous elements, particularly militant groups. Other major powers including Russia and China also have a stake in the protection of the existing global system, even if they want to tilt it. Being too aggressive has drawbacks. Beating Islamic State also requires more than just a military strategy. To survive, ISIS needs to keep delivering propaganda victories — one reason it was willing to throw so much at Ramadi until it captured it in May 2015. Ultimately defeating them also requires political resolution in Baghdad that reconciles Sunni, Shia and Kurd. That means a level of devolution in which all component regions remain happy to stay in the same state; breaking the country up is much less viable. That creates difficult dynamics on the ground. Sunni tribal leaders in ISIS areas fear the return of Iraqi troops and Shia militias will bring brutal reprisals. These dynamics require more complicated and wider ranging skill sets than those traditionally taught by staff colleges. Some of these have, however, already been picked up in the recent Iraqi and Afghan campaigns. To be successful, however, those conversations often require the credible threat of force. The key, therefore, is a flexible force. Current reforms by head of the British Army Gen Nick Carter are already looking to make the force much more flexible. The Army is looking at taking a division and turning it into a more active, regionally focused force capable of sending out multiple much smaller training teams and units. Building a rationale and strategic approach for operating such teams in potentially hazardous areas, however, is important. “As a young man, my view was that I expected to go into harm’s way and I think that that has not changed for anyone in uniform. You know you don’t rush to get killed. But if you lose some people along the way, that’s what it takes. One of the major risks of the SDSR is that activity and training suffer because of the focus on cost saving, rendering the military much less appealing. Some efficiency savings are possible, however, such as in the number of non-uniform personnel, bases etc. What is most important, however, is that the focus on saving existing programs is not allowed to completely dictate everything else. The person who should have most say is not the head of the army or the Navy or the air force but the Joint Force Commander at Permanent Joint Headquarters in Northwood — the officer who is most likely to have to actually take the British military to war and do things with it. Sacrificing one capability to protect another is always risky. Having disposed of the Nimrod maritime patrol aircraft, with Russian submarines now prowling on the edge of its waters, the UK now needs a replacement. New technology may provide cheaper alternatives, however. As important, arguably, is providing defendable and achievable missions and roles for young service personnel that address the key challenges. Private sector solutions are also important. There is a need for a wider discussion on surveillance and counter-terrorism.